What Does the Future Hold for London’s Menswear Scene? The last five years have been some of the most revolutionary for men’s fashion. Since the late 2000s, global conversations revolving around guys’ interest in clothing (remember #menswear?) have mounted in popularity, leading industry professionals to address a fledgling but highly influential market that had been long overshadowed or straight up ignored in previous years. Though still controversial, the last half-decade has produced menswear-exclusive fashion weeks in each of the industry’s four major capitals, some more fruitful than others. But it was the summer of 2012, with the launch of London Collections: Men, that really kickstarted the whole men’s week phenomenon. 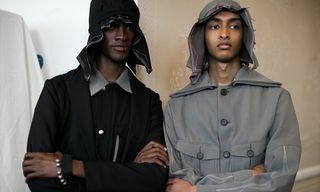 Now in its fifth year, London’s menswear affair – now dubbed London Fashion Week Men’s – has been lauded as one of the most progressive of all flagship weeks tacked on the fashion calendar. 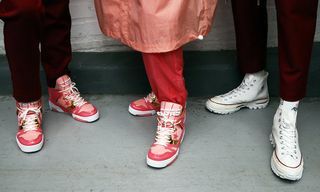 By merging the British city’s storied legacy in tailoring with contemporary streetwear and avant-garde ready-to-wear, and not to mention a strong support system for emerging designers, London Fashion Week Men’s continues to churn out collections marked by pristine craftsmanship and politically-charged statements, and its local audience can certainly attest. 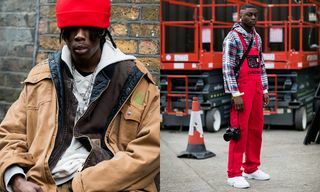 During a recent excursion to the English capital for LFWM’s SS18 showings, I asked four key figures of the city’s menswear scene – British Fashion Council CEO Caroline Rush, Stavros Karelis of buzzy concept store Machine-A, designer Alex Mullins and Highsnobiety’s very own contributing photographer Eva Losada – on how they think London menswear has evolved over the last five years and where they think it’s going. 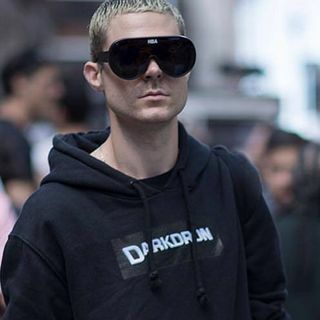 What would you say defines London menswear right now? Caroline Rush, CEO of British Fashion Council: Well I think that London’s known for having the best of brands. Other cities have contemporary businesses and big brands, but here we have two great exceptions: we’ve got Savile Row and heritage that no other city has, and you have this wealth of young talent. Stavros Karelis, Owner of Machine-A: Something I find very interesting with London is the diversity. Everyone is connected. I remember when I started seeing a lot of shows for the first time, especially when London Collections Men first launched, I realized that designers are extremely supportive of one another. I know “diversity” sounds very fashion at the moment because everyone is using it, but I think this really does apply to London because there are so many good designers doing their own thing. They’re all unafraid to express themselves at such an early stage, which I think is super important. They are young and very exciting to work with and also put much effort and thought into what they want to do. Eva Losada, Photographer: London has always been characterized by strong looks, but the men here like to play with clothes more than in other cities and there is a big variety of styles, although I think there’s still a strong interest in oversized clothing for the last few seasons. Lately, I’ve noticed a big interest in tailoring (also oversized), which is replacing big hoodies for dress shirts or blazers. You can also see a few men going into a more androgynous punk/glam aesthetic. How would you say the London menswear landscape has changed over the last five years? Caroline Rush: When we stared five years ago, it was very much Savile Row and contemporary young businesses. I think the scene is going back to what we originally started with, which is a strong support from the media and the retailers internationally who’ve said that back in January, there was a moment where you really understood what London stands for – which is really exciting. Stavros Karelis: First of all, someone we need definitely need to mention is Lulu Kennedy, founder of Fashion East and MAN. Before Lulu, there wasn’t anything dedicated strictly to menswear. She was the first, and this is what I think really started the focus on menswear in London. 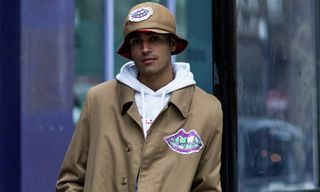 From there, the British Fashion Council realized that there’s actually a huge market for men, and more universities were producing young talent that were designing menswear collections. Over the course of the last five years, London Fashion Week has become one of the main fashion weeks people attend. I definitely think it’s the most active one in terms of selecting and showcasing emerging talent. There are lots of programs like NEWGEN, British Fashion Council, Fashion East and the universities themselves that are supporting emerging talent and international buyers as well as press. If you think about it, designers such as Nasir Mazhar, Astrid Anderson, Craig Green, J.W. Anderson, Liam Hodges, Cottweiler, Xander Zhou and Martine Rose all came out of London in the last five years and are doing great worldwide. Alex Mullins: The market and point of view has changed quite dramatically since I started a few years ago. You can see the battle in large and small fashion houses between trend and innovation. An entrepreneurial nature is the only way to succeed. Pushing forward in your own personal way… in a way that suits you. Eva Losada: Before, you used to see more English tailoring – hats and tight suits which you don’t see that much nowadays at fashion week. Now, I think everything is more global and people wear more high-end streetwear pieces. What would you say have been the more groundbreaking moments in London menswear throughout the five year history of this fashion week? Caroline Rush: Well, I think for us, we just see it evolve every season, and the groundbreaking moments tend to come from the designers themselves. They’re the ones that are offering a wealth of creativity. You sit at the show and don’t know what you’re going to get! It becomes a moment of expectation and excitement in terms of our role as the British Fashion Council; to push partnerships though social media, live stream, or content partners just to make sure that we make the content and information go far and wide, because in the end, that’s what we’re here for. Stavros Karelis: I’ll never forget the Craig Green show that literally brought us all in tears. It was SS15 if I’m not mistaken, where all of the models walked barefoot down the catwalk. I sent Craig an email right after the show finished and told him that it was one of the most magical moments I’ve experienced at a fashion show. I also remember all of Nasir Mazhar’s shows because of how empowering they were. Nasir and Mackie Josephs, his stylist, were the first ones to actually put so many different ethnic groups in a catwalk show. I remember the show where Skepta walked out, which was a really special moment because it was right before Skepta’s career exploded and that night. Oh, and Martine Rose! Last season Martine showed in Tottenham Hale Market. 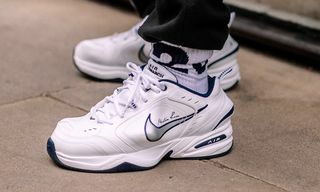 Nike also sponsored the show and actually took over the whole market. It was also a night where everything was closed down, so you could move easily from central London. 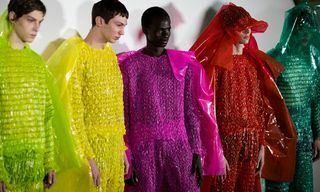 Eva Losada: Probably the graduation of designers like Charles Jeffrey, Wales Bonner or Dilara Findikoglu, who changed the fashion perception in London in the last couple of years by bringing a new aesthetic to the market. How would you differentiate London style from other fashion capitals? Caroline Rush: Oh that’s quite a tricky one. We do have a particular style and I think it’s experimentation and rebelliousness; that sense that anything goes really. Stavros Karelis: The fact that a lot of our champion designers are still in their first steps of their careers is pretty extraordinary. A few years ago, no one really paid attention to emerging talent, especially the really big editors or buyers. Alex Mullins: London is open to finding beauty in unexpected places. The references are very broad, which makes the London shows feel diverse and energetic. The combination of aesthetic seen in the collections of the younger designers reflects the beauty and also the mess of our city. It’s hard not to speak out about what is happening in our world and our country at the moment, and I’m very proud that the designers in London use their platform to voice the issues we all share regarding our current situation. Eva Losada: London is always a step forward in fashion; many trends or new waves start here, just like they do in NYC. I think the open mindedness of the people living here and the amount of creatives living in the city, as well as a strong music influence, makes it different. With fashion’s current cultural climate being what it is, do you think a menswear-exclusive fashion week is necessary? Caroline Rush: That’s the million dollar question! I think the thing to ask is if menswear and womenswear do come together, we have to remember that menswear businesses still need a platform to showcase and sell, whether that’s at the same time as womenswear or whether they continue to be separate. We should never diminish the fact that menswear businesses are incredible and need a platform. They need to be able to show because they have very specific audiences. Stavros Karelis: Well recently, there has been a great deal of talk in the press about combining men’s and women’s. I personally think there are valid points about integration and separating. I’ve had this conversation with a few designers, including Nasir. Because he produced both a men’s and women’s show, he said that many buyers wouldn’t attend because they wanted one or the other. I think this must be dealt with on a case-by-case basis. As a buyer, I feel that men’s and women’s shows are going to come together and be shown at the same time. It’s much easier and cheaper for the buying teams and press who travel at the same time. I think it will gradually happen, however, I think individuality plays a really big part in this. Each brand should choose to do whatever they think fits for them and not just follow the norms and the laws that some really big brands seem to be putting into place, because they have the means and ways to achieve things that small independent brands don’t. But sometimes shows are not even the best way to go about it. You can communicate your message through a great film or lookbook and send it to like 5-6 buyers that you respect and try to get your name out there without putting on a show. It also saves a lot of money for a small young brand starting out. Alex Mullins: Yes, I do. Combining fashion weeks all together would be too confusing (and also would last about forever). A mixed fashion week could even weaken our point of view in regards to choice. The clothes I design are men’s clothes, that actually a lot of women buy, and personally I find that very attractive. In my opinion, mixed fashion shows already feel old fashioned, but choice is what makes fashion modern. Eva Losada: We’re experiencing a profound change in fashion. Every season more and more designers do mixed shows. Also, less people are traveling to the fashion capitals during menswear season, so it seems to all go in that direction where both are together. Menswear has certainly come a long way, but many argue that it’s more confused than ever.